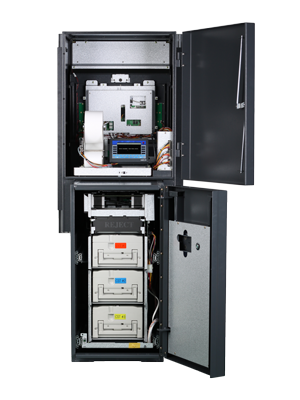 Genmega GT5000 is a high performance yet economical through-the-wall ATM solution. 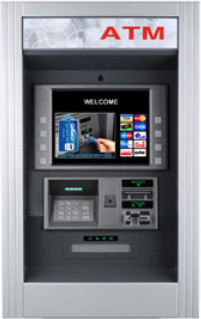 It includes high-end features like a 15" high bright LCD which supports custom advertisements and a 3-cassette cash dispenser with motorized cash presenter. GT5000 features of a high end through-the-wall with the low maintenance and reliability that Genmega delivers. Genmega introduces the GT5000 series ATM. A high performance yet economical Through-The-Wall ATMsolution with the look and feel of a full bank ATM. Designed for wall or Kiosk installation, The GT5000series makes new TTW installation or replacements a snap. Built with the same compact modulear components as your existing Genmega machines and engineered for easy installation and reliable operation.